After such a long absence, I thought it fitting to make this post's topic reflect both my sincere repentance at not having actively updated the blog and my hopes that I'll be forgiven by those who have been patiently waiting for any sign I was still alive. I have been in deep-research mode, and have a number of exciting things to share. Next week, I'll begin off-loading a number of the projects I am doing on the blog and, hopefully, reignite a dialogue with many of you. 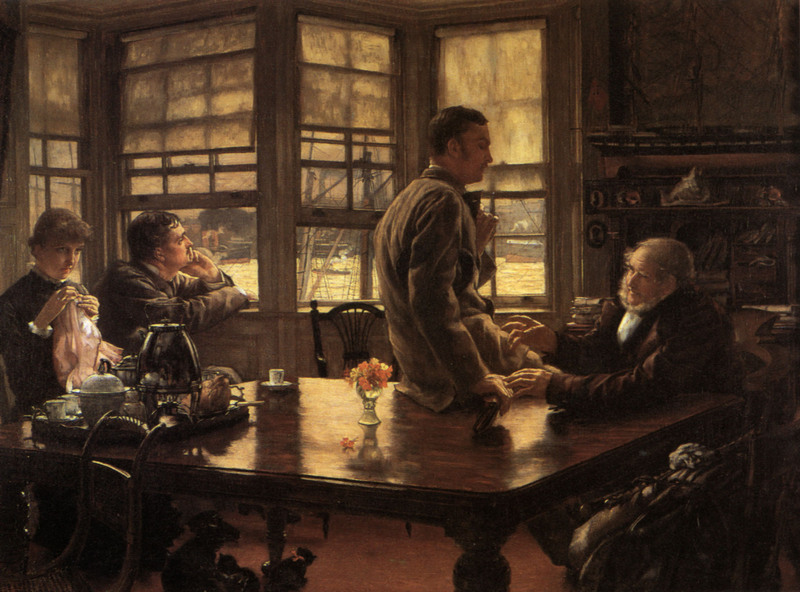 James Tissot (French, 1836-1902) is largely remembered for his scenes and portraits of the upper-middle class, but, during the 1880s he had a religious awakening and produced a number of works inspired by the New Testament. In 1885, he had what he referred to as an "epiphany" and "revelation" that lead him on a pilgrimmage to cathedrals in France and to create a series of 35 scenes from the life of Christ. 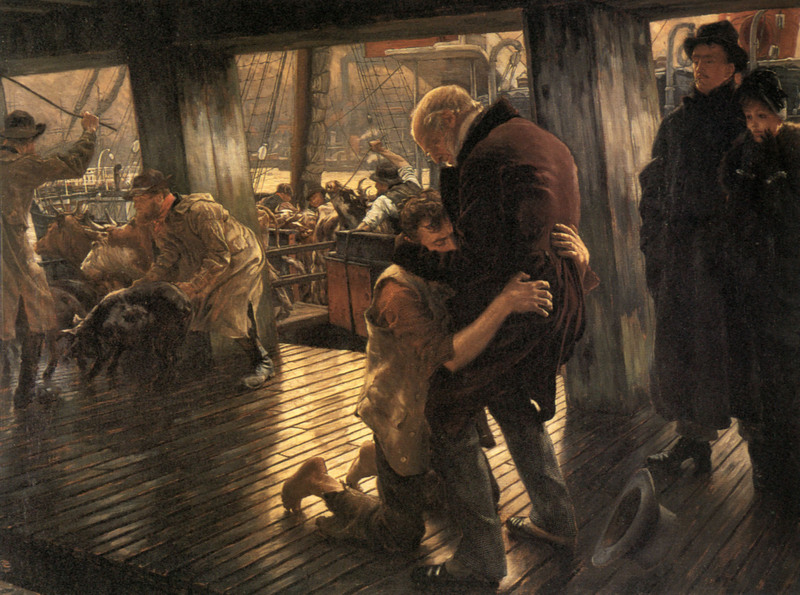 During this religious decade Tissot did multiple version of the Prodigal Son. This particular series is titled "The Prodigal Son in Modern Times" and consists of three paintings all set in contemporary English life. They were exhibited at a one-man show at the Dudley Gallery (London) in May of 1882 and accompanied by watercolor sketches of the same paintings and etchings that were later reproduced widely in England. Shortly after the show, Tissot returned to France and took the three original oils with him. They remained in his studio until his death in 1902 and were, then, offered to the Louvre, which would not take them. 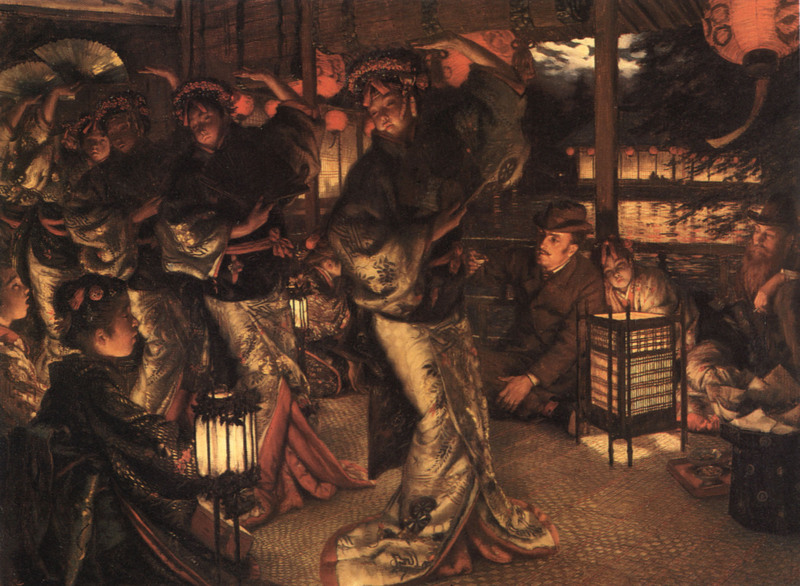 Instead, the three paintings were taken by Musée de Nantes, located in Tissot's hometown, where they remain today.